Amazon Fashion is fast becoming our favourite one-stop hot spot when we’re feeling a bit spendy. Not only do you tend to get more bang for your buck thanks to amazing prices, but you can shop multiple—often lesser-known or harder to find in the wild—brands all at once, and the speedy next-day delivery option is not to be missed. So since we’ve already shopped everything from sought-after niche fashion trends to life-saving travel accessories and Kate Middleton’s favourite trainers on the site, exploring the best lingerie on Amazon is up next—specifically, the best plus-size lingerie that deserves prime positioning in your shopping basket. Another huge bonus while shopping on Amazon is, of course, the customer reviews. No matter what category you’re browsing, every product worth its top spot comes backed by people who have already bought and worn it IRL. So putting our trust in the site’s five-star rating system, we’ve sought out the best sellers that you need to see right now. Keep scrolling for the plus-size lingerie brands that are currently trending on Amazon UK, plus the top-rated pieces you’ll want to add to your drawers ASAP. Another top spot for Triumph, 83% of reviews rank this at 4 stars or above. 83% of reviewers gave this T-shirt bra five stars, and even better, it comes in four colourways. Pretty lace, eight shades from basics to pastels and a 69% top rating from 462 reviews. We’d call that a must-buy. 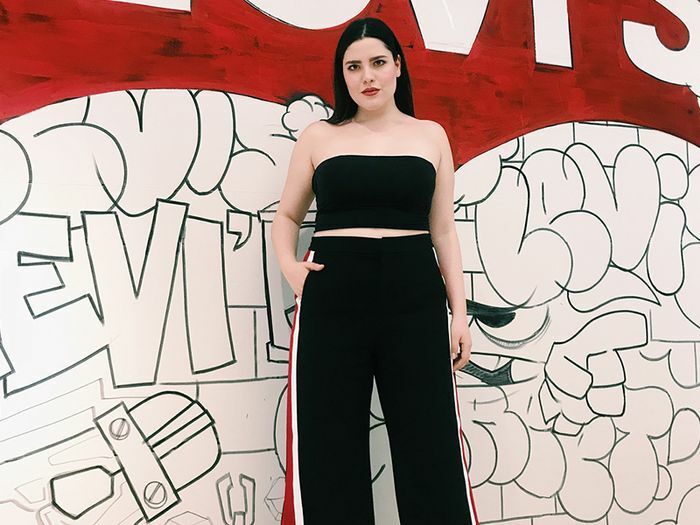 Is It Even Possible to Shop at Zara When You're Plus-Size? A huge hit with U.S. shoppers (it has over 680 reviews in the States), Curvation recently hit Amazon in the UK and is already taking off thanks to this staple T-shirt bra. One review reads: “After searching for what seemed an endless time, I found this wonderful bra. It is the most comfortable, yet supportive and uplifting bra that I have ever worn.” Yep, we’re sold. So good everyone’s getting it in black too.